(C. Rice) The quick-witted female who deals with the practicalities of Harlequin’s life, the female lead. The referenced deadly scene is Pride (blind justice). 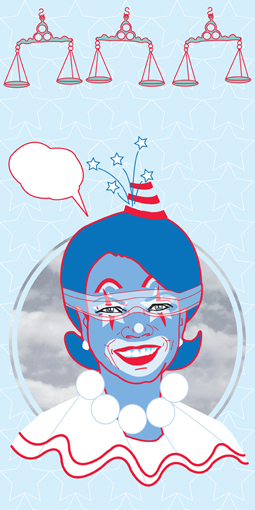 She is an articulate academic who blindly and devotedly follows the party line and Harlequin.